All Things D reports that former eBay CEO, gubernatorial candidate could replace Apotheker. 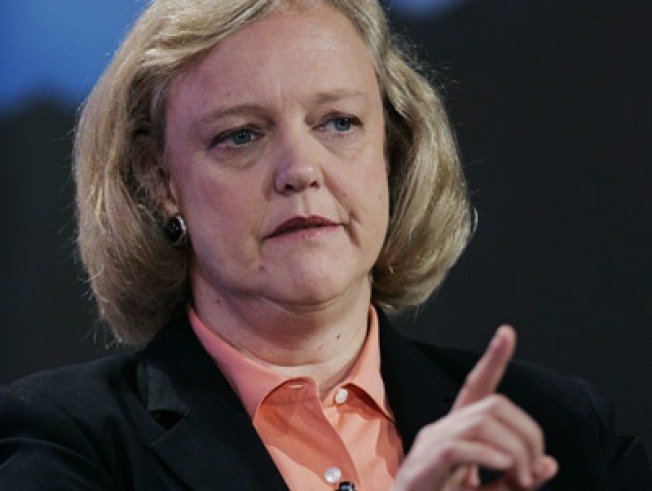 Reports say that former eBay CEO and gubernatorial candidate Meg Whitman may become HP's new CEO. Silicon Valley veteran and politically connected former eBay CEO Meg Whitman is being considered to replace Leo Apotheker as Hewlett-Packard's CEO, according to sources speaking with All Things D.
HP stock spiked after the rumors surfaced and closed up 6.72 percent for the day. Apotheker's recent moves -- shuttering TouchPad, WebOS and shopping the PC business -- has left at least 500 people out of work. Those layoffs were announced this morning. The TouchPad was on shelves only a couple of months before Best Buy asked HP to buy them back. Instead they dropped the price to $99 and liquidated the inventory. HP also recently announced it was expanding its footprint in Africa, with plans to open offices in 10 African countries. Whitman led eBay to pre-eminence, joining in 1998 when the company only had 30 employees. She took a young startup and transformed it into one of Silicon Valley's largest companies with more than 15,000 employees and $8 billion in revenue. But Whitman's tenure at eBay was not without controversy. She was known for being a demanding CEO and was accused by a former employee of shoving her in a meeting. eBay reportedly reached a six figure settlement with the employee.